Annmarie Skin Care now has tote bags, for all of your toting needs! They're made with 100% organic cotton. They were printed at a local screenprinting shop run by really cool people. And the designs were made right here in our office by one of our lovely designers, Michelle! 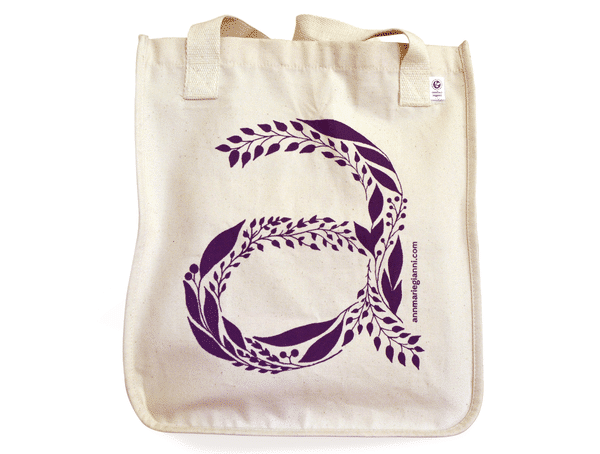 Our first signature tote bag features a floral ‘a' design in Annmarie's favorite color, purple! This simple, subtle, yet detailed design reflects our love of all things natural. 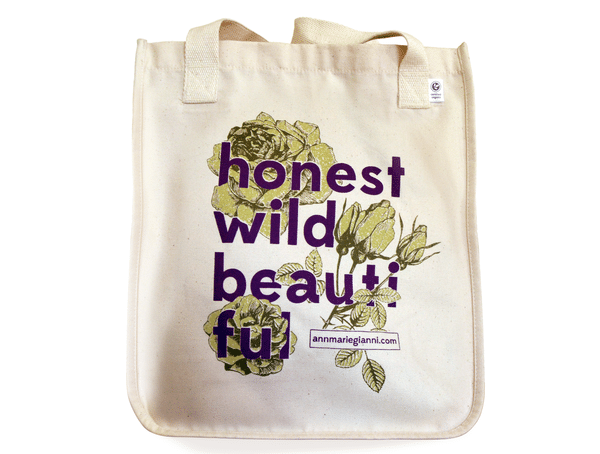 We also made a limited batch of these ‘honest wild beautiful' tote bags, in our signature purple with a hand-drawn flower design. We say our skin care is honest because we also tell you exactly what's inside it, wild because the ingredients are organic and wild harvested, and beautiful because that's how you look and feel when you use it. We'll have a new seasonal tote design for you each season! Carry your gym clothes in them. Use them to pack your lunch. 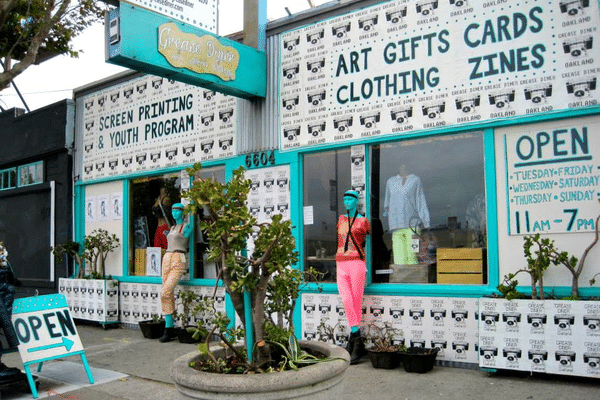 Lucky for us, we live down the street from a super school shop that has art, clothing, screen printing supplies, and classes. It's called The Grease Diner. It started in 2013 when two artists were looking for a way to make their art a viable career. 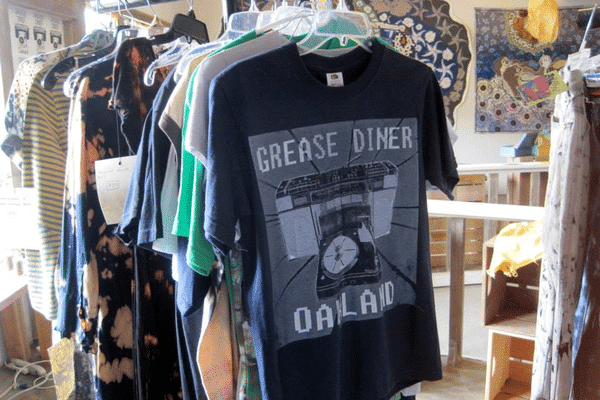 They opened Grease Diner as a gallery and storefront, which soon grew to also become a screen printing studio. They also host events like movie screenings and feature art from locals. They did an amazing job on our bags, and we are happy to support our neighbors each time we get a new batch of them created! What kind of design would you like to see on our tote bag next? Let us know in the comments below! on the tote bag, I would like to see many different flowers—roses, camellias, sunflower, lavender, hydrangea, lily of the valley etc. in a spray on a cream colored background. You can highlight the flowers often used in your products. Our We Heart Gift Guide is Here!